Lawmakers gave first-round approval Jan. 31 to a bill intended to prevent termination of private health insurance solely due to incarceration. 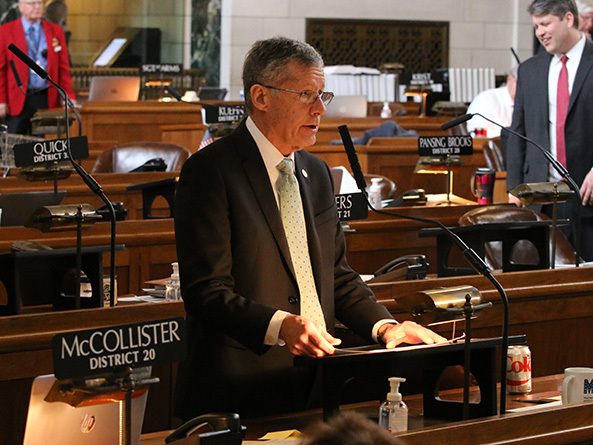 Omaha Sen. John McCollister, sponsor of LB480, said that once an individual is found guilty of a crime, his or her health care costs are the responsibility of the political subdivision in which the sentence is carried out. However, he said, health care for an individual who is in temporary custody before sentencing, and who has private health insurance, should be paid for by his or her carrier. “It seems a simple matter of fairness for them to continue health coverage in the time prior to sentencing,” McCollister said. A Banking, Commerce and Insurance Committee amendment, adopted 30-0, replaced the bill. As amended, LB480 would require a private insurer to pay claims for covered services or supplies provided by an out-of-network health care provider to an insured who is in temporary custody in an amount that is not less than 100 percent of the Medicare rate for such services or supplies. Temporary custody is defined as being in the custody of a jail pending disposition of charges, or sentencing. An insurer could cancel coverage or deny coverage for services or supplies provided to an insured who is incarcerated after sentencing. Insurers could deny coverage for treatment of injuries resulting from a violation of law by the insured or for diagnostic tests or health evaluations required for all individuals in temporary custody. 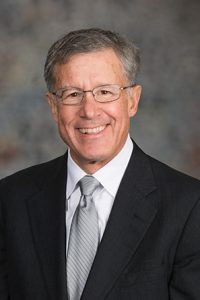 The bill also would prohibit an insurer refusing to credential a health care provider on the basis that the employee or contractor provides medical services in a jail. Following adoption of a McCollister amendment that changed the operative date from Jan. 1, 2018 to Jan. 1, 2019, the bill advanced to select file 30-0.